HOME > Blog > General > What is the Maximum Servicemember Age under the SCRA? No one wants to violate the Servicemembers Civil Relief Act. Or they don’t want to get caught, at least. How does servicemember age affect SCRA rules? Maximum servicemember age is much more important than minimum servicemember age when it comes to the SCRA. For each branch of service, enlistees must be 18, or 17 with a parent’s consent. Most 17-year-olds cannot enter into contracts such as signing leases or buying or renting cars, so SCRA protections would not come into play often with this age group. 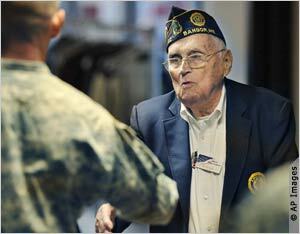 However, most branches of service also have a maximum servicemember age, which is 64. Under rare circumstances, when a servicemember’s grade is above major general or rear admiral, the age can be 66 or 68. But this is only if approved specifically by the president or the secretary of the Department of Defense. Thus, the vast majority of active-duty personnel are considered retired on the first day of the month after the month they turn 64. At this time, they no longer get SCRA protections unless the act extends the protection. (As in a foreclosure protection – see footnote #2). This extends to all five branches of the armed forces: Army, Navy, Air Force, Marine Corps or Coast Guard. It also includes the commissioned corps of the National Oceanic and Atmospheric Administration and the Public Health Service. It’s critical to determine whether the individual is on active duty status before starting legal proceedings against them. Moving ahead with these court actions without a court order is a violation of the SCRA, and subjects you to fines, restitution and possibly imprisonment. Having the client or renter’s Social Security number is valuable in determining their active military status. However, this is not always obtainable. The SCRACVS can often confirm military status with other data, such as addresses, phone numbers, etc. ; but, the individual’s age may be a helpful factor in the process. Rely on the Servicemembers Civil Relief Act Centralized Verification Service for all of your military status verifications, regardless of whether you have a Social Security number or know the servicemember age.